If you visit with our hospital staff in-person, we can initiate the account process and issue a PIN to make registration quicker. If you initiate this registration process yourself, we have to add a verification step to assure your records are kept safe and confidential. A valid email address is required for registration. If you do not have one, we recommend a Google Gmail account. Visit this page to view our available online forms. Currently, not all of your health records are available in this Patient Portal. Please note the dates below for details on what records are available. While records may not be available online, be assured all your records are available in our Medical Records Department. Contact Us for more details. This is the date we began charting your inpatient health records in our computer system. SINCE this date — Records from your hospital Inpatient visits since April 1, 2011 are available in this Patient Portal. BEFORE this date — Records from your hospital Inpatient visits before April 1, 2011 are available from our Medical Records department. This is the date we began capturing your in-house lab tests in our computer system. SINCE this date — In-house lab test results since October 2012 are available in this Patient Portal. BEFORE this date — Lab test results before October 2012 are available from our Medical Records department. 24-HOUR DELAY: There is typically a 24-hour delay for lab test results to appear in your Patient Portal. Please contact your doctor for more immediate access. SEND-OUT LAB TESTS: We partner with Methodist Hospital in Omaha for certain Lab tests. Results from these "send out" lab tests are currently not available in this Patient Portal, but are available from our Medical Records department. This is the date we began charting certain outpatient health records in our computer system. 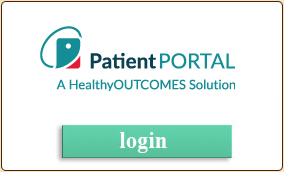 SINCE this date — Certain records from your hospital Outpatient visits since April 2013 are available in this Patient Portal. BEFORE this date — Records from your hospital Outpatient visits before April 2013 are available from our Medical Records department. NOTE: We partner with certain Specialists from the area for some of our outpatient services. Complete charting records are currently not available from ALL of these business associates, but are available from our Medical Records department. The Patient Portal is very secure. Your information is protected with the highest level of security available. Healthcare organizations are required by law to protect your information. This is the same security protocol that banks use to protect your financial information. Several steps of authentication are included to ensure your identity is protected. Your account is password protected and linked to your verified email address.